I hate that I had to make this card. The news that someone has passed away always knocks me. And in this case the world has lost a young, creative, fun soul. I feel for her parents and of course all her family. Rest in peace Lorna. 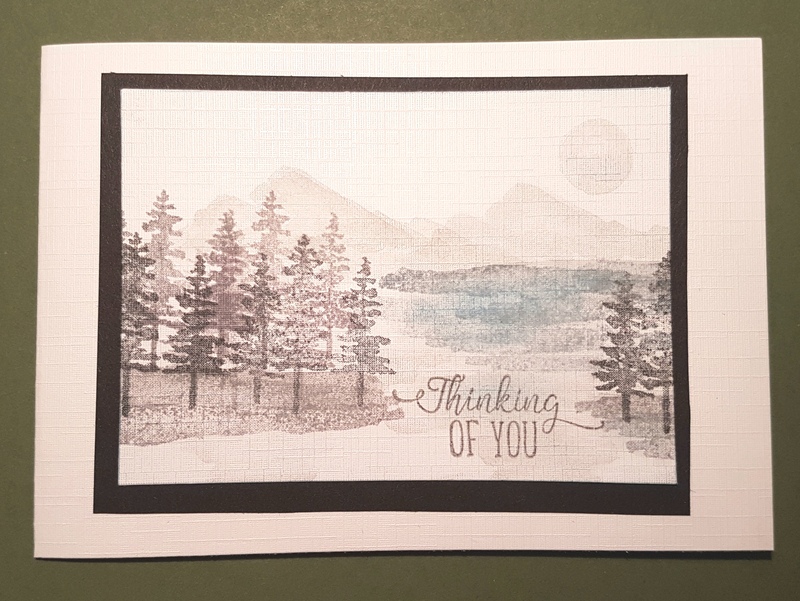 I decided to make a muted card with a scene using these amazing Waterfront stamps from Stampin Up. I have seen so many cards using these on Pinterest and can’t wait to make some different scenes using them. I used a mixture of grey inks, mainly distress inks but also added in weathered wood for a touch of blue. I then added some light shading to the edges and to catch the texture of the cardstock with a clarity brush. The sentiment was a magazine freebie stamp. I kept the card simple with a black mount for the image and then a linen cardstock card blank. Very soothing, I’m sure they will rind a peace and comfort in your card. Thanks x this stamp set is a Must!